Car repair is one of the monthly expenses that many of us don’t take seriously. We only consider repairing the car after a major damage has occurred. This is because sometimes the cost of car repair can be high regardless of how small they may look. Did you know that you can cut your car repair expenses by almost 50%? You don’t have to abandon your car in the garage to achieve this. It all involves handling the repairs by yourself. After years of having a car, you might have realized that some issues don't have to be handled by professional mechanics. Here are small car repairs that you can do to save money. Mechanics and other car technicians will charge you some good amount of money just to change your brake pads. Did you know that you can do this without spending a dime? Replacing brake pads is quite an easy process and requires little technical knowledge about the working of a car. You only need pliers, basic wheel wrenches, and a wheel lug wrench. After removing the wheel, go ahead and fix the pads. The process may take less than an hour, and you won’t have to pay for the cost of labor. It surprises us to see the number of people who visit auto shops to change their car batteries. This is one of the simplest car repair procedures that you can do at your home without involving a technician. A typical battery will last for a period of between 3 to 4 years. By the end of this time frame, you should be fully aware of when to change the car battery. Waiting till you get a technician is one big lie. One secret of knowing the state of your battery is by checking its expiry date. A typical oil change that is done by a mechanic will cost you $20 to $30. Doing it yourself can help you reach your savings goals. After all, you would already have catered for the cost of oil and filter. Why should you pay more for the technician to do it? Doing it yourself also minimizes losses that are associated with the process. Some technicians may use fake oil or those that are not compatible with your car engine. In doing so, your vehicle may start developing mechanical issues which will eventually affect your overall expenses of maintaining the car. Attar buying a car, one of the first lessons that you need to learn is how to change spark plugs. It is an easy care repair service that will save you from incurring some big expenses. These plugs have a lifetime, and in the latest models of vehicles, spark plugs expire after approximately 100,000 miles. The procedure is also less complicated as you only need a spark plug wrench. Smart car owners walk around the car on a daily basis to check out the condition of the car's lighting system. It would be a suicidal move to drive a vehicle whose headlights are damaged (https://www.dmv.org/how-to-guides/headlight.php) or not in a perfect condition. First, you will be putting yourself and other road users at risk. Secondly, faulty tail lights can mislead vehicles that are behind you. You don’t have to hire someone to tackle your taillights. After buying a replacement, follow the procedure outlined in the manual. While replacing, be careful on how you handle the bulb. Do not touch the old one with your bare hands. Also, ensure that your hands are not greasy when handling the bulbs. Setting a chipped windshield isn’t a complex process as many people tend to assume. In fact, it is one of the small car repairs that you can do to save money. To accomplish this task, you need to have a windshield kit repair kits which are sold at affordable prices. After that, get rid of loose glass using the pin that came with the kit. 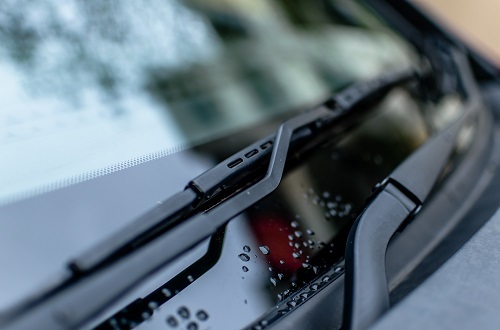 Once the glass attains satisfactory cleanliness level, stick a small device next to the windshield until a seal is formed around the rock chip. Use vacuum contraception method to apply some resin into the crack. This is a small operation that can last less than an hour. It also seals the crack on the windshield from spreading hence saving you from incurring massive damages. Rubbers that are found on the windshield can get worn out, making their effectiveness go down. You can efficiently deal with this issue by replacing the old strips of rubber with new ones. Alternatively, you can get unused wipers and remove their rubber strips. All you need is a screwdriver to complete the exercise. Never assume any unnecessary noise coming from the back of your car. There could be something serious affecting your vehicle and needs to be handled as soon as possible. Probably the exhaust pipe holders have been damaged. Check under the car for any broken holder and repair it before the problem escalates to another level. One of the reasons that may be preventing your headlight from turning on is broken fuses. They inhibit the transfer of electrical energy to their destination. Replacing a blown fuse is not a big deal. You only need to find the exact location of the fuse then read the appropriate manual on how to install it. Does your car keep running out of fuel? The problem may not be your bad driving habits. Probably the fuel gauge tank needs to be replaced. Try to find the location of a fuel gauge tank at home then look for the user’s manual and initiate the process if you can. 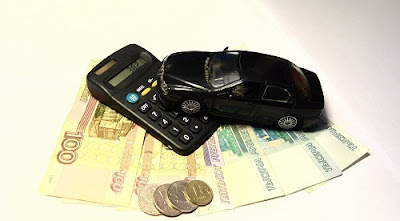 If you thought that buying a car is an expensive affair, wait till you start paying maintenance costs. Sometimes of these expenses are too high that they can end up draining your savings. With these tips, you will be able to save enough money that you can use for other ventures. Tim Fox is a co-founder and writer for theeliteproduct.com. He and his friends share latest information about cars and motorcycle on their blog.